New Delhi: Bringing a sense of respite to the DNB candidates across the country, the Union Ministry of Health and Family Welfare has clarified that in the impending National Medical Commission, DNB qualifications of candidates who have done their course from 500 bedded hospitals will be considered equivalent to PG/SS qualifications in all respects. Earlier, this was limited to only those DNB degrees, whereby candidate had passed from MCI recognised institutions , that is medical colleges. 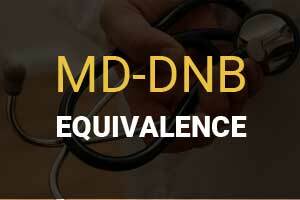 The clarification came in response to the query raised by Association of National Board Accredited Institutions ( ANBAI), the umbrella body of Hospitals providing DNB courses across the country, whereby Under Secretary ( Health) to the Govermentt of India cleared the air about the status of MD-DNB Equivalence within the ambit of the impending National Medical Commission Bill. I am directed to refer to your letter dated 29.03.2018 on the subject cited above and to say that the clause with regard to equivalence of DNB with other PG / SS qualifications under the National Medical Commission Bill, 2017 as introduced in the Lok Sabha has been amended after considering the recommendations of the Department – related Parliamentary Standing Committee on Health & Family Welfare made in its 109°’ Report. In terms of the said Bill, the DNB degree shall be equivalent to other PG / SS qualifications in all respects including for the purpose of teaching. The amended clause of the NMC Bill, 2017 prescribes that the DNB qualifications when granted in a medical institution with attached hospital or in hospital with at least 500 beds, shall be equivalent in all respect to the corresponding PG/SS qualification and in all other cases, senior residency in a medical college for an additional period of one year shall be required for such qualification to be equivalent. Demanding equivalence for NBE qualifications, ANBAI held a meeting first with the PMO and then with the Health Ministry, asking then to establish equivalence. All these problems can be solved if we had common post-graduation courses instead of too many courses for the same broad/super speciality course. ANBAI has backstabbed DNBs. Who is ANBAI to ask for 1 year clause. Where is NBE. Why it\’s officials so silent.